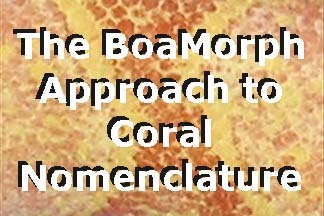 Welcome to the BoaMorph Coral Page! The coral albino is among the most beautiful of boas. However, for many breeders and hobbyists the term coral has acquired a negative connotation paralleling the unfortunate past bastardization of the name “jungle boa.” Those familiar with the story of the jungle boa will recall that this morph originated (i.e., was described, defined and named by someone) in Sweden with a breeder named Lars Brandle. In the heterozygous form, the jungle boa is characterized by generally possessing greater color and contrast, frequently having lighter circles within the dorsal saddles, and in many cases having an aberrant (or, to use the technical term, “wiggy”) pattern. A unique characteristic of the jungle boa in its heterozygous form is its ability when bred to another jungle boa to produce the homozygous form of the jungle boa (the superjungle), which is virtually unmistakable in its outrageous “wigginess.” With the relatively large numbers of jungle boas now being produced and the associated greater access to photographs and opportunities for firsthand observation, breeders and hobbyists have become more familiar with the outward appearance (phenotype) of the jungle morph, and also have learned that to be called a jungle boa, one must be able to demonstrate that the boa descended from the original Swedish bloodline (such “proof” usually is in the form of a written guarantee from the breeder, as well as written evidence of the source of the breeding stock, thus creating a paper trail back to the original Swedish bloodline) or that the boa is genetically compatible with boas from that bloodline (i.e., has produced superjungles when bred to a jungle boa from the Swedish bloodline). Early on in the jungle boa project, when jungle boas were less plentiful and the superjungle boa was a creature of legend and myth, this morph was plagued by uncertainty and – whether the result of intent or ignorance – fraud. The first problem was that breeders and hobbyists had a difficult time understanding what it was that made a jungle boa a jungle boa. For those jungle boas that were clean and colorful but did not have a wiggy pattern, many wondered what it was that supposedly distinguished them from any other nice clean colorful boa. In fact, this led many to question whether the jungle boa was even a valid morph. Many breeders and hobbyists also misunderstood the characteristics of the jungle boa, thinking that it was solely the aberrant pattern that defined a jungle boa. This unfortunate misunderstanding led some to begin selling almost any boa with an aberrant pattern as a jungle boa. In this manner, some would try to sell what was not a proven morph but simply a common boa with an unusual pattern at a price as much as 50 to 100 times higher than the true value of the animal. It took several years, many litters of jungle boas from reputable breeders, and the production of the superjungle to bring this wonderful morph the recognition and acceptance it enjoys among breeders and hobbyists today. Some remain confused, but there are far fewer now who would be victimized by the ignorant or the unscrupulous. Certainly the story of the jungle boa is testament to the great things we boa breeders and enthusiasts can accomplish as a community. This all too common sentiment is held by so many in the boa community who, as happened with the jungle boa, are suspicious and feel misled whether by ignorance, deception, or both. Our purpose in writing The Coral Page is to share what information we have learned in our years of working with the coral trait, providing a science-based understanding of what legitimate conclusions can be drawn from the existing data on the coral trait. 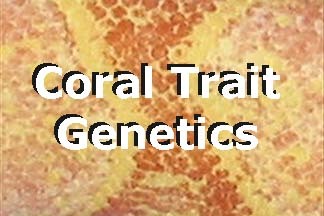 We will present the history of the coral albino, discuss the visual characteristics of the coral trait, and analyze some of the possible modes of genetic inheritance and other factors potentially influencing the inheritance and expression of the coral trait. Finally, we will explain our own policy regarding the terminology we use in the nomenclature, description, advertising and selling of boas from our coral bloodlines. The Coral Page will be updated periodically to incorporate new information learned through additional breeding trials and observations. 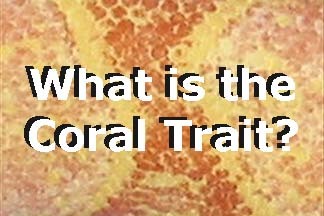 We hope that the information presented here will provide an educational experience that helps to dispel the confusion surrounding the coral trait. 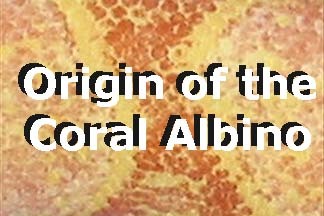 Please use the photo links below to jump to the topic of your choice, or start with the "Origin of the Coral Trait" page and follow the links from page to page to view them all in order.